It has been a great month since the last post. During this time, I was happy to travel to some of the major cities in Germany and I received a lot of interesting and versatile tasks. Additionally, I had various opportunities to interact with the team even more, may it be during a team event in Munich or some joint working days in Cologne or Düsseldorf. I also got to enrich my experience in client interaction and developing approaches to certain focus topics. Overall, a month stuffed with new learnings and insights. I want to start with the last-mentioned topic: client interaction and focus topics. Our team dedicates itself to identifying state-of-the-art innovative trends and technologies and transferring these to client use-cases. Pretty early during my internship, I could join one of these groups and was lucky enough to be involved in the preparation of a client workshop. In course of the preparation, we developed together the relevant documents and approaches for our client. It was especially interesting, that we had chosen a different approach in comparison to the classic PowerPoint presentations. During the workshop, we gave the client the possibility to practically experience and play with the innovation we were proposing to them. In addition, we enriched the experience by choosing the Deloitte Greenhouse as our location – a place in Berlin which encourages idea generation and interaction in a playful way. It seems as if consulting is changing in some way from solely showing solutions on PowerPoint to entire workshop setups where participants can interact with the proposed solutions. Even though it has been a busy month, the time was not of course dedicated to work only. 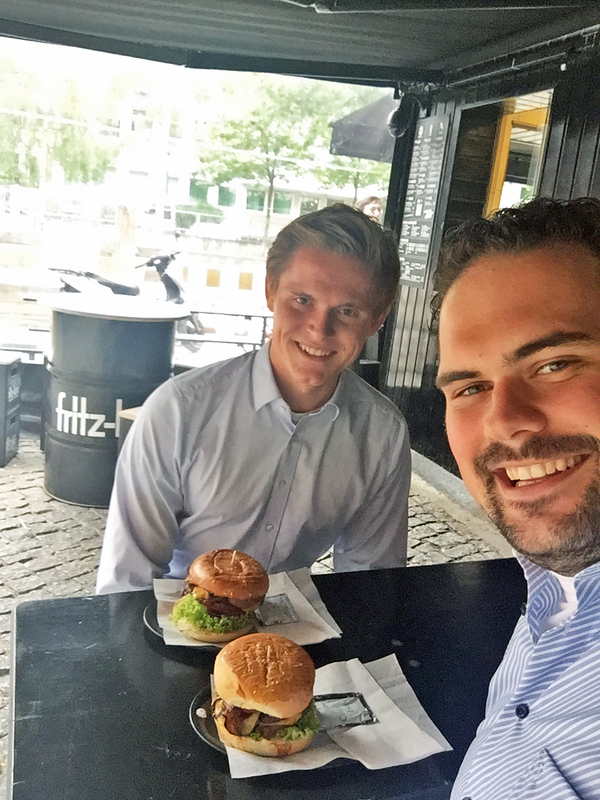 Recently, we met a part of our team in Düsseldorf to discuss some of the newest topics together and to develop our solutions based on that. However, we also had a number of fun conversations about humorous things which have occurred to us recently. Additionally, the meeting took place in our Design Studios, probably the most amazing office I have seen yet – large open spaces, a barista coffee machine, and gadgets such as swings. Earlier last month, we had a team event, where the entire DCI Garage team came together in Munich. It has definitely been another highlight of this internship as we were playing Bubble Football and had a joint dinner at a local brewery. I personally found it a great way to get to know my colleagues even better apart from work. I learned a lot in the last weeks and I am happy to be part of this team. It has been almost a month now since I joined Deloitte in the Garage and everything is going great. Even though I do not want to think about the end of the internship yet, I have to realize, that about a third is already over. Time is running with the same pace, as we work on our solutions and formalize our business. I could not tell on how many things I have worked yet, however, the number of folders on my desktop tells me, it has been a lot of different topics! The Garage is definitely a welcoming place to work at – enjoyable workplaces, a fun and smart team, tangible innovative projects. I appreciate a lot, that I have been treated as a full member of the team from day one. When I opened my laptop for the first time, I was happy to see that I already got introduced to the entire team. My time at Deloitte got kicked-off with four starter days at the headquarters in Düsseldorf, where I had the chance to meet a lot of new and interesting people – surprisingly numerous from the same department, some from my home university, and also one person I now have the chance to work with. So how is Mannheim doing? So far, no barbecue at the Rhine and I have not been to the city center yet. But still, it is the football European championships, which are always worth to watch somewhere in Mannheim and a colleague recently took me to an event of our university’s alumni association where I got to know the start-up culture of the city – also a great opportunity. 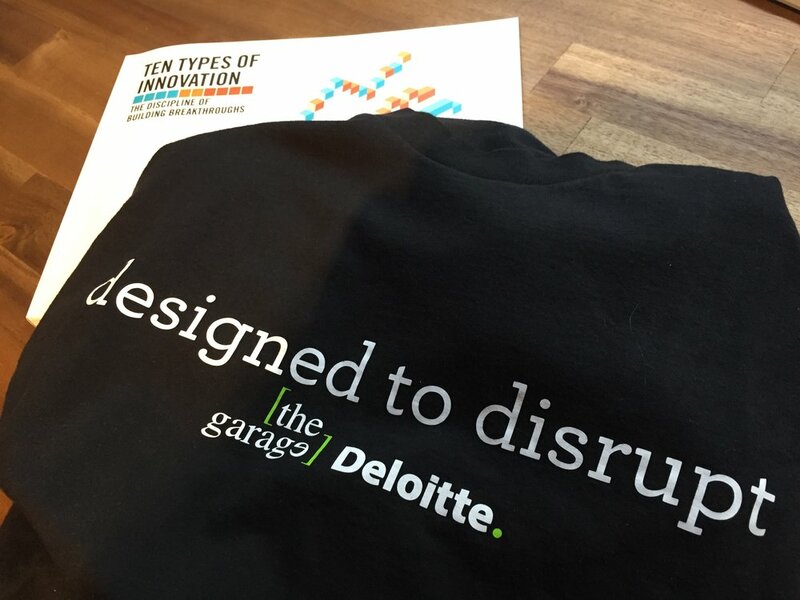 I am excited to tell you a lot more about my time at the Deloitte Garage. Until next time! Pascal, having studied Aviation Management at EBS Business School, will be joining the innovative team at Deloitte Garage in Mannheim. He will be sharing his stories through the blog. What new experiences are you looking forward to while working at Deloitte? The upcoming internship is different from my experience so far, because I have the chance to work on highly relevant and innovative projects. I am really looking forward to learning more about current market developments in this segment and to work together with small, as well as large businesses. I guess the approach to the different projects might be entirely different from each other. I am also happy to spend this time together with an outstanding team, which I have already gotten to know during my interviews at Deloitte. What is your pro tip when it comes to consulting and client relations? Being open minded and interested in learning something new is probably my tip for consulting. I think it helps to build relations with the team as well as the client. Consulting is not only about delivering presentations to the client. It is mostly about interaction and questioning the current status of one’s business. Hence, I am convinced that an unbiased approach and the motivation to discover new value for the client is beneficial to maintain high motivation - even in stressful projects. Favourite meal to prepare after a day at work? I am pretty much a fan of having a barbecue - especially in the summer. Maybe some grilled steaks, sausages, or vegetables. I like a lot of things like this. However, what I like the most about having a barbecue is to invite friends over for dinner. I think it is a great opportunity to meet casually and spend the evening together. Plus, you can have a barbecue anywhere. I am really looking forward to testing the grill at the Rhine during my internship in Mannheim. The first half of my internship at Deloitte is already over and it seems like time has just flown by due to the many things I have learned, the new people I have met and my awesome team. I used my leisure time to explore Cologne and thus want to show you two favorite places of mine. If you ever visit Cologne, you can’t miss the Cologne Cathedral, probably the most popular spot in the city. Here you can see it illuminated at night. In the day time, you can also climb the stairs to the top. As for my favorite place, where you can find me most of my weekends, and one of the most beautiful places in Cologne: The Salon Schmitz, a former butchery where they serve the best Café Latte in Germany and the most delicious Quiches. On the weekend it is so crowded, you hardly get a free spot without reservations. For the minimalists among yourselves, I will describe my impressions of the first three weeks at Deloitte in three words: exciting, innovative, challenging. My internship started in March and luckily for me my first day coincided with Deloitte’s welcome week, a week for everyone new to Deloitte’s German consulting entity. The onboarding days were not only a great introduction to administrative learnings, tools, and Deloitte’s organization but also the best imaginable way to internalize the spirit of Deloitte and socialize with your new colleagues directly. The first three weeks of my internship passed by in a fast pace due to the many exciting tasks I’ve worked on: One of my projects has been to collaborate on the construction of a presentation for strategic innovation purposes. From day one I have been treated as a member of the team and not only as an intern. Everyone is highly intelligent and super sympathetic to work with. There is also huge potential for learnings that I can take with me. I hope my tasks will stay as exciting as they are right now and that I am able to continue with the personal and professional progress initiated through my internship at Deloitte. Our office space designated for meetings, lunch, and get-togethers with colleagues. Meet Tessa, the Blind Applying champion of Deloitte! Tessa has begun an exciting internship in Consulting-Innovation at Cologne, Germany. Could you imagine that you would get the internship at Deloitte? There are so many interesting companies participating in the Blind Applying program, but since I am strongly focused on consulting, Deloitte had been one of my favorites. I was hoping to have good chances of being interviewed, but I would have never imagined being chosen as their champion. Of course, I am more than happy to get this great chance. You have organized fashion events and fashion is one of your main interests. What has fashion taught you about business? Fashion is business and it also shows a lot of analogies to the business world in general. You work with many different kinds of people in fashion, which helps you to get along with and understand the perspective of different business partners - be it an experienced entrepreneur or a creative aesthete. Furthermore, you have to move with the trends to be in fashion and even stay ahead of them by creating new ones. It is the same in the business world. Companies that are able to invent products which meet the present wants of customers, are way more successful than the companies that are always in delay regarding new trends. Is there a person who has inspired you in your life? Yes, actually there are a few. A special one of them is my father, who showed me what it means to work hard in order to reach your goals instead of only chasing your dreams. He taught me that kindness, rather than resentfulness, puts you ahead, and he shaped my sense of justice. No matter where in the world I am or how difficult my situation might be, I know that he offers his help unconditionally. He is my kind of life insurance.